The Port of Antwerp Triathlon Festival has a unique decor, the trendy village 'Eilandje'. You swim in the marina of Antwerp, cycle along the striking Port House and run in the shadow of the impressiva MAS (Museum Aan de Stroom). 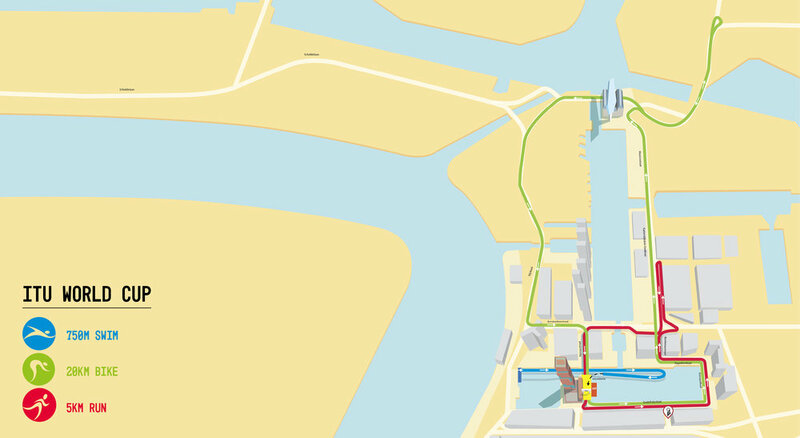 The start, finish, transit zone and the atmospheric triathlon village are nearby, central on the 'Eilandje', the newest hotspot of Antwerp city. The vibes of the city, culture and sport contribute to a unique atmosphere.